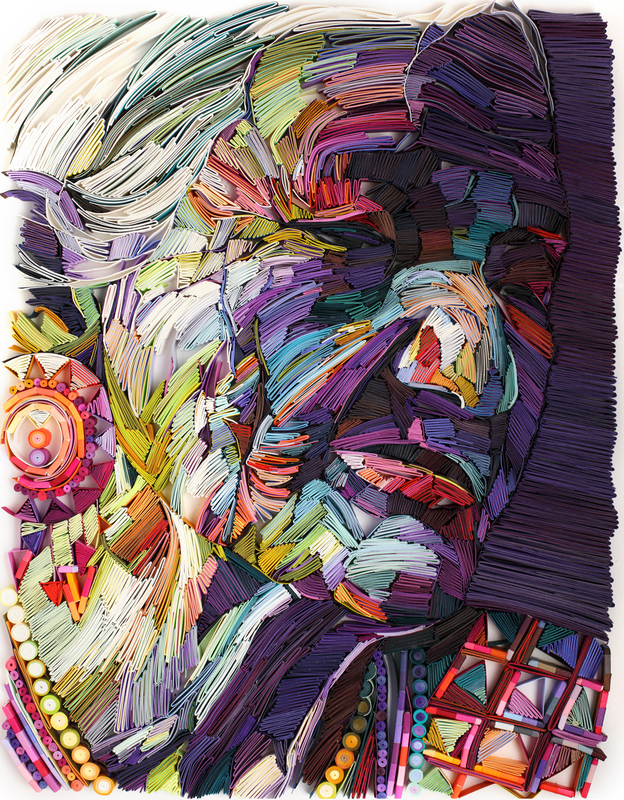 Utilizing vibrantly colored paper, artist and illustrator Yulia Brodskaya (previously here and here), creates unique three-dimensional portraits that reflect the beauty found in old age. 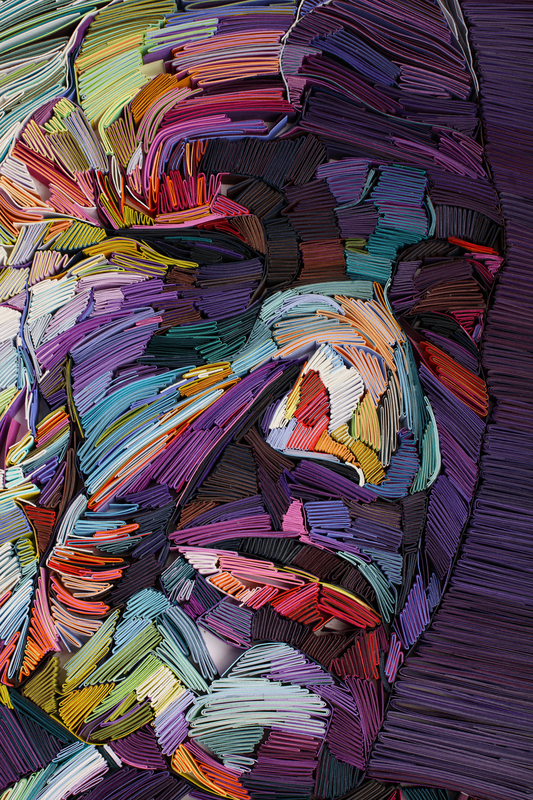 Each work contains a palette of colors that remain at the center of her focus, recently concentrating on precious jewel tones that also serve as the title for each portrait. 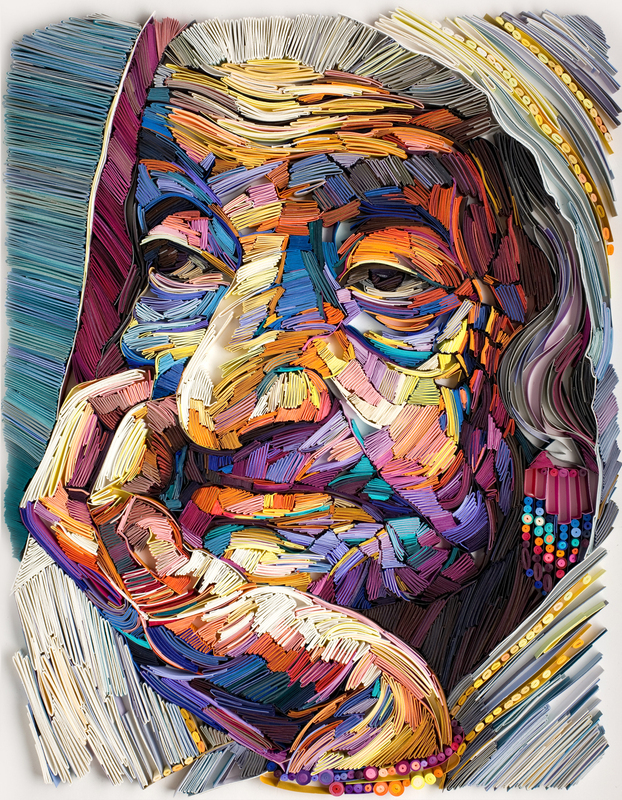 Previously Brodskaya had referred to these quilled pieces as drawings, but the more expressionistic her style becomes, the more her work reflects a painterly approach. You can find more images of Brodskaya’s quilled paper paintings on her blog and Facebook, and see a step-by-step demonstration of her process in the video below.